A veteran of the business world, Dan headed up a $13 million operation for a major rental car agency for many years before shifting his focus to real estate. He has been involved in this industry as an investor and property manager since 2014 and brings strong negotiation and risk assessment skills gained in his former career. Born and raised in California, Dan came to Alaska in 2010 and quickly made it is his adopted home. He loves assisting others in gaining a stronger foothold here by helping them to achieve their financial goals through real estate. 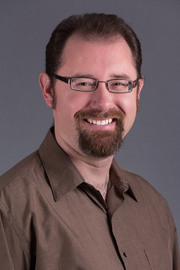 Dan holds a degree in psychology, and enjoys playing trombone semi-professionally in venues throughout Anchorage. He loves to spend his spare time maintaining and restoring classic cars, including his latest project, a 1972 Volkswagen bus.